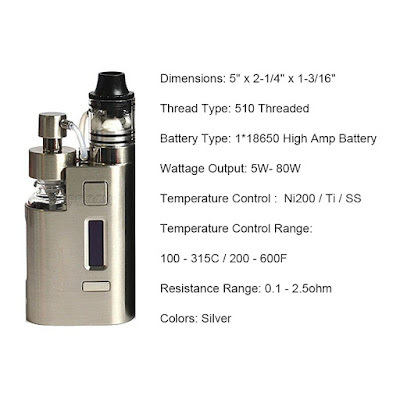 Kanger Dripez Starter Kit Silver is a great device that designed by KangerTech, it features an unique Juice Pump Delivery System and utilize pre-built Kanthal 0.2ohm drip coils or build your own. Supports a variable wattage output from 5 to 80 watts, powered by a 18650 AMP battery (sold separately). This great device will make you experience a difference amazing vaping time.